Optus is set to make around 170 jobs redundant after moving to outsource the functions of its network management centre (NMC) to Nokia. “Optus will be working with our long-term technology partner Nokia on a more sustainable business model and over the next five years we will deepen our partnership with Nokia to deliver the end to end management and maintenance of our network,” a spokesperson for the telco told ARN. “Some technical roles are being transferred to the Nokia team where they will perform a similar function. “We anticipate that approximately 170 roles will be made redundant, although we are working with employees who are affected by these changes to identify redeployment opportunities where possible,” the spokesperson said. Sources familiar with the matter told ARN that Optus has been moving to outsource a fair amount of its work over time and, internally, the company is in the process of trying to amalgamate different groups. Now, the Singtel subsidiary is planning to close its NMC operation, which manages network faults and responds to issues, with some of those jobs going across to Nokia, but not all of them. The sources suggest that between 150-200 employees could be affected, with the outsourcing deal understood to be kicking in next year. It is understood that Nokia will be in a position to pick and choose whom it wants to engage from the current Optus workforce that is set to be affected by the move. At this stage, it is unclear whether Optus will be able to nominate the employees that will be transferred or whether that decision will be left with Nokia alone. Give that Nokia already has staff of its own to draw upon it is thought to be unlikely that it would take on all of the affected employees. According to sources, it is possible that some of the affected jobs could go overseas, specifically to India. 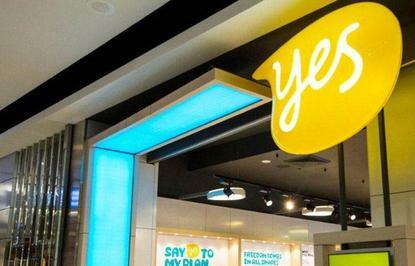 The Optus spokesperson indicated that employees were told of the changes on 26 October. The spokesperson also said that with Nokia performing its mobile network operations and assurance function, the telco would be able to access industry best practices drawn from Nokia’s global reach, expertise and resources, along with the ability to bundle, standardise and automate processes. “Optus will continue to review its structure and operations from time to time to make sure we are optimally placed to compete in the market and deliver the services customers expect,” the spokesperson said. In April, Optus flagged plans for a number of redundancies after moving to cut more than 300 jobs across a range of business areas as part of its ongoing strategic direction. As reported by Fairfax Media, the telco was planning to make many of the cuts in that redundancy round in a number of areas, including networks, IT, human resources, wholesale and satellite. An Optus spokesperson told ARN at the time that the company had informed around 320 employees that their roles had been made redundant. Optus is certainly not the only telco in the local market to periodically go through large redundancy rounds, with the country’s largest telco, Telstra, earlier this year eyeing up to 1400 job cuts. A representative for the telco told ARN at the time that affected staff of the proposed cuts would be informed on 14 June.